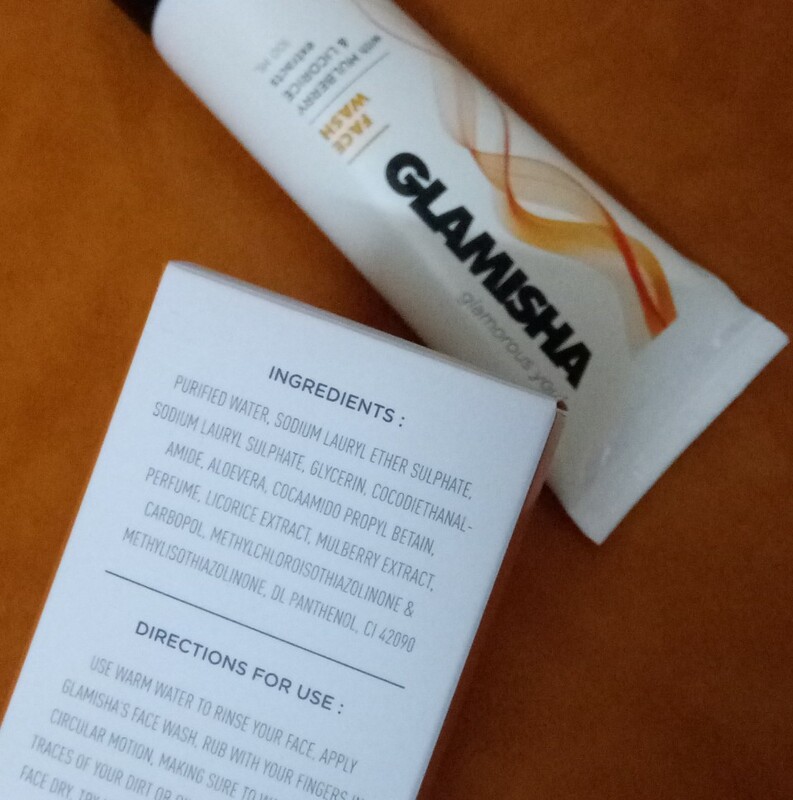 Recently i came across a new brand Glamisha. Based in Mumbai the brand brings you luxury beauty and personal care products. All their product have pure ingredients, essential oils and extract, which are used to make their product highly effective and yet gentle. 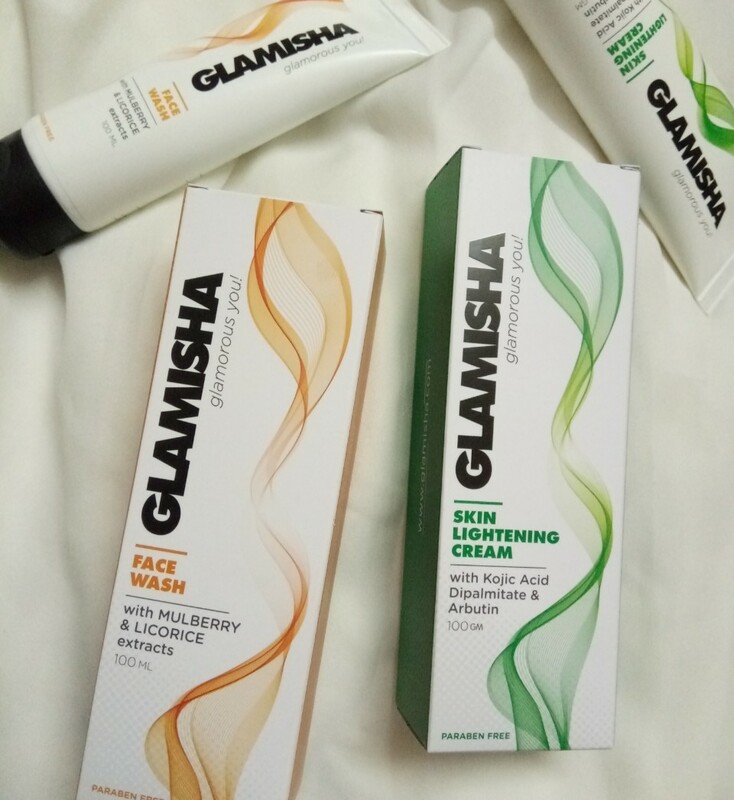 Today i am going to review two products from Glamisha – A face wash & Skin Lightening Cream. 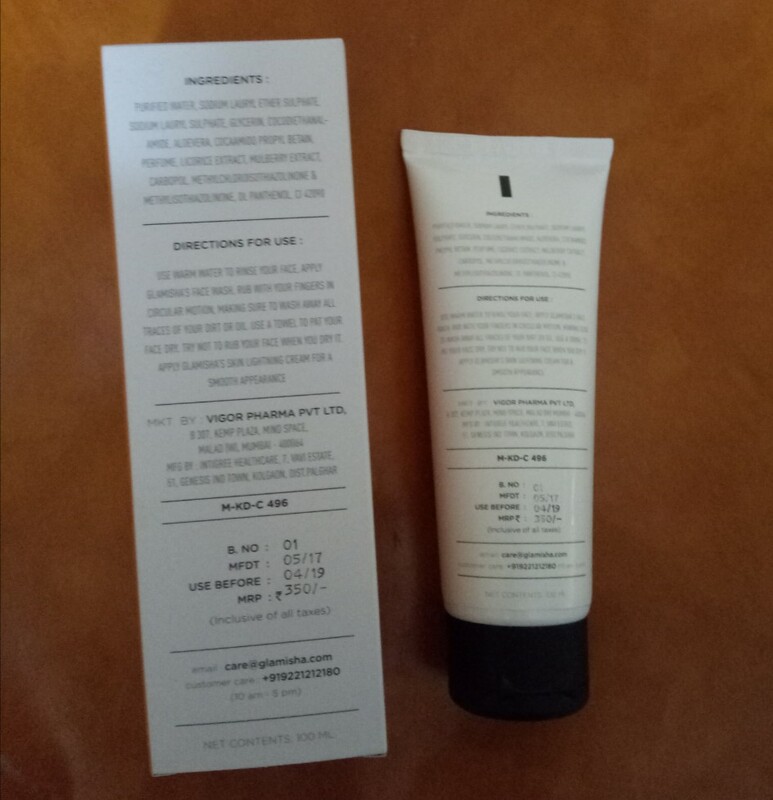 Packaging – The face wash comes inside a white squeezable tube with a black flip cap. The tube comes inside a cardboard box. All the information has been mentioned both on the box and the tube. Appearance – The face wash is transparent gel type and has light blue undertones. It has medium consistency. The smell is a bit strong but refreshing. Honestly i dont like strong smell products but i love the fragrance of this one. 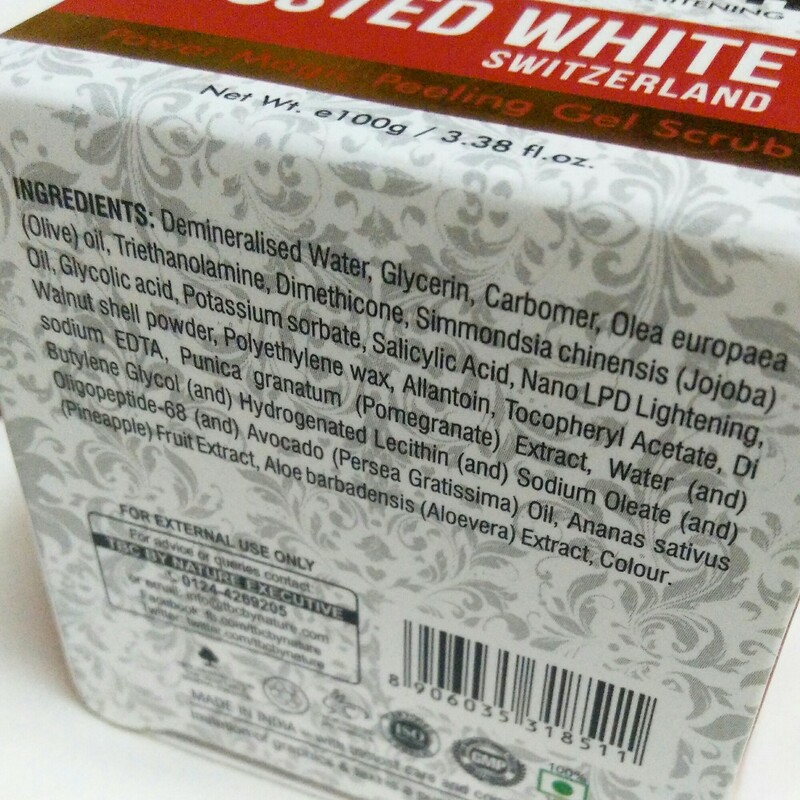 Ingredients The face wash is paraben free. But contains SLS & SLES. 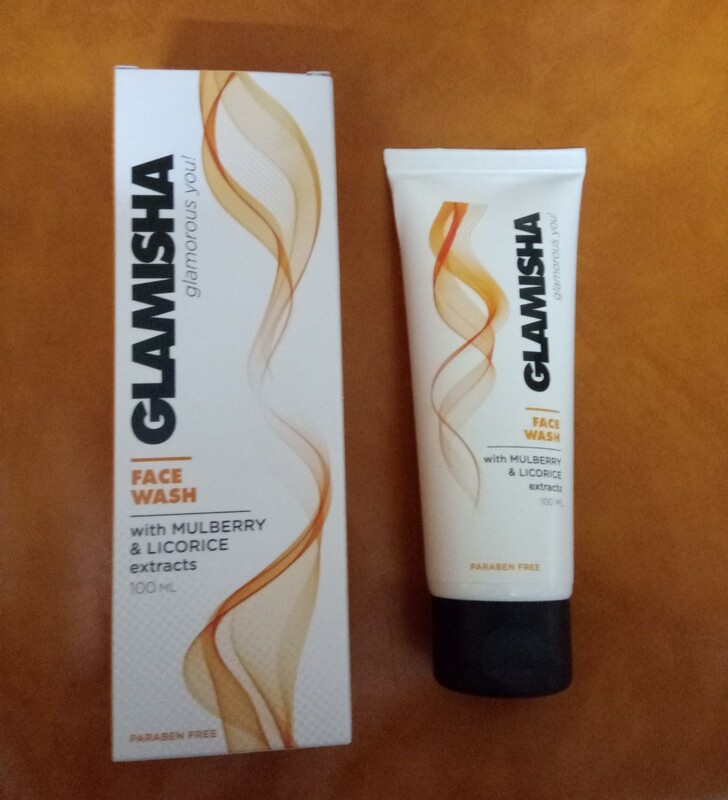 My Experience – With ingredients like Mulberry and licorice i was kinda excited to try the facewash. So as soon i got the products i started using them. The face wash is extremely gentle on the face and creates just the right amount of lather. A small peanut size amount is all you need. But If i am coming home after a long day then usually i require a little more amount of face wash. It does the cleansing well without irritating the skin. It removes dirt and oilyness enhancing the appearance of skin. It makes my skin soft and supple without excessive drying. Mulberry extract present in the facewash acts as a super anti anging agent. Licorice extracts are rich in anti oxidants.They impart a healthy glow to the skin. Overall a good facewash. 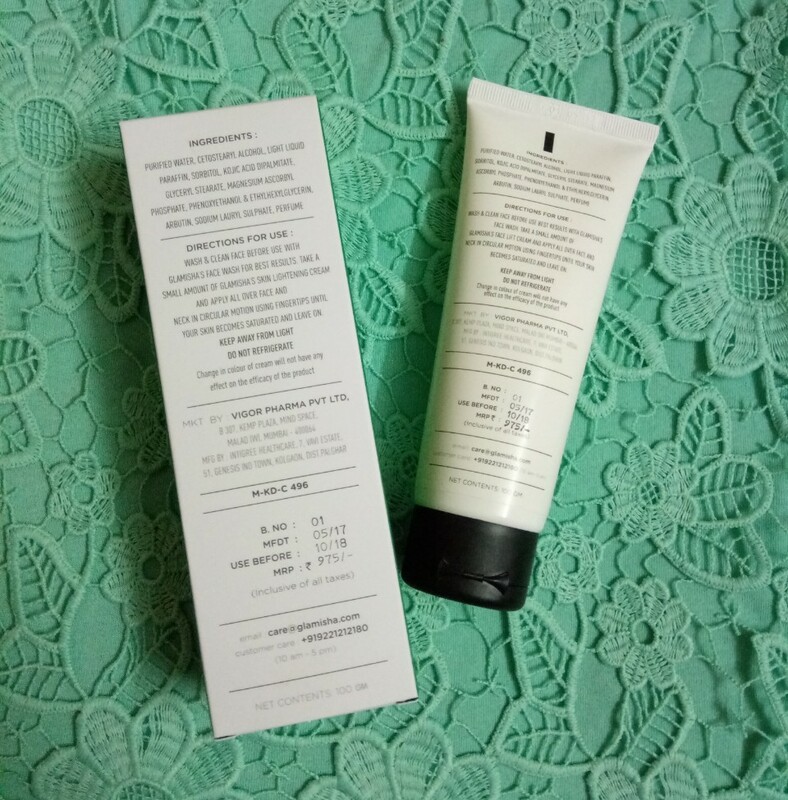 Packaging – The Skin Lightening Cream comes inside a white squeezable tube with a black flip cap. The tube comes inside a cardboard box. All the information has been mentioned both on the box and the tube. Appearance – The cream is white in colour and has a medium consistency. It has a strong but soothing refreshing fragrance and the fragrance lasts upto quite some time. Say about an hour. 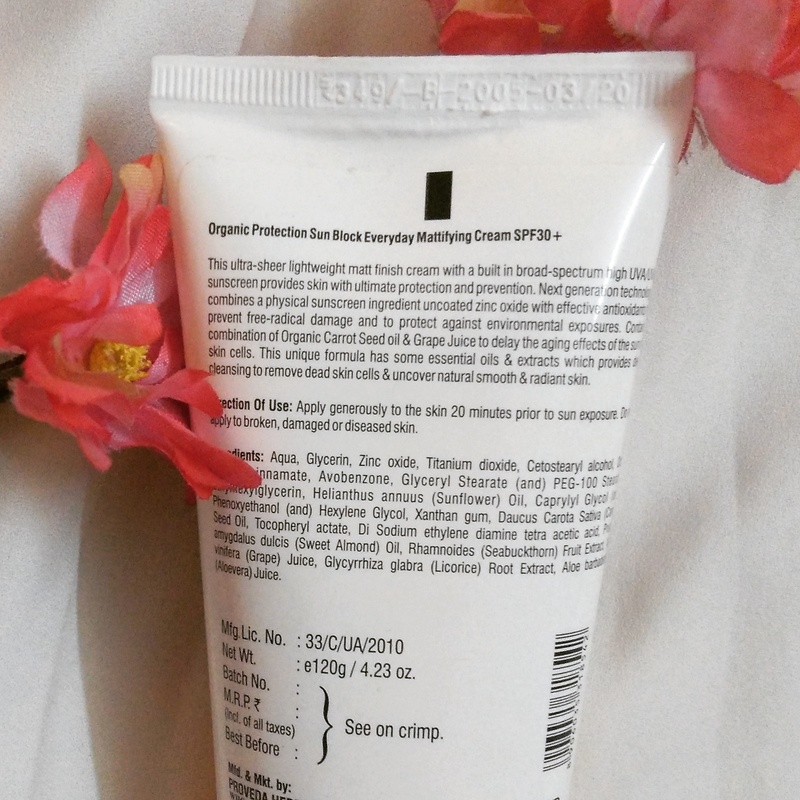 Ingredients – It is Paraben free. Contains SLS. 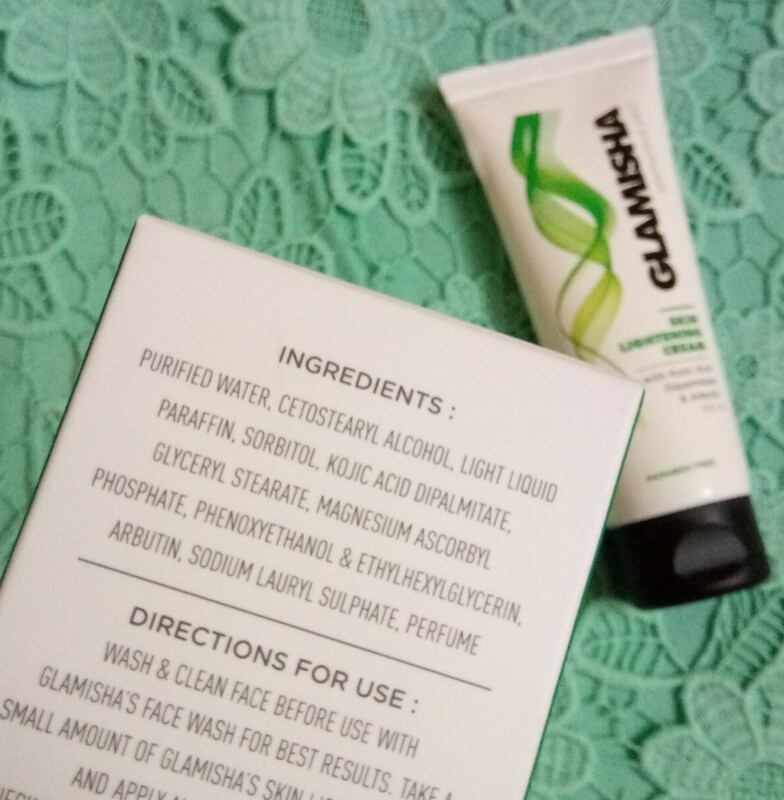 My experience – I use this cream after washing my face with Glamisha’s Face wash. On applying the cream it takes a while to get fully absorbed into the skin. The cream needs to be massaged properly so that it doesn’t leaves any whitish cast on the skin. Its texture turns bit matte when you start applying it and hence it needs to be massaged thoroughly to help it get absorbed into the skin. My skin feels so soft after applying it. It makes my skin appear a little fair and healthy also. 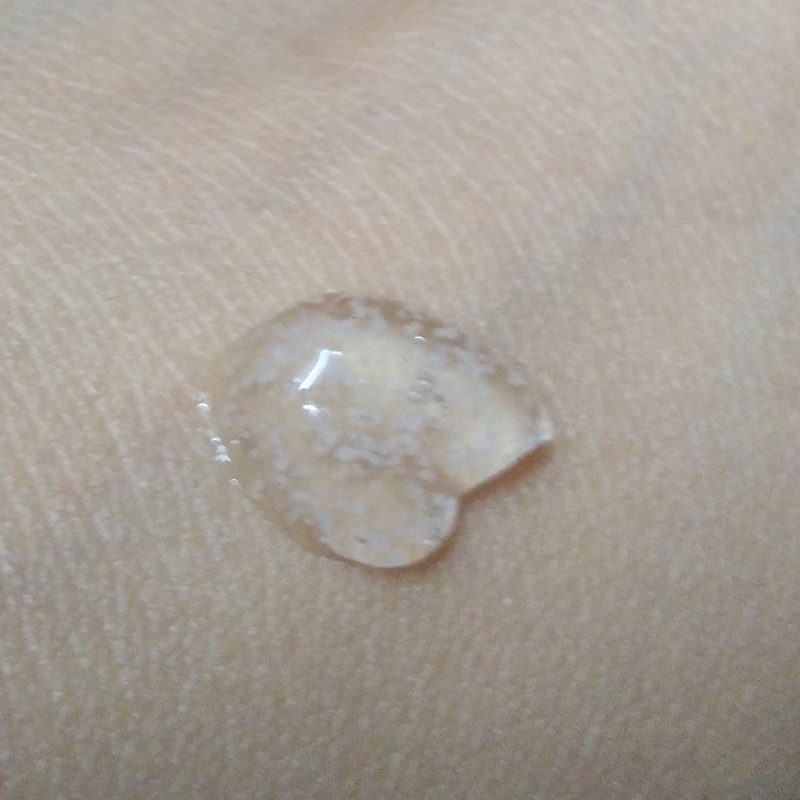 I did not notice any major oilyness on my skin after applying it. Also the fragrance of the cream stays on for quite some time which i love it. 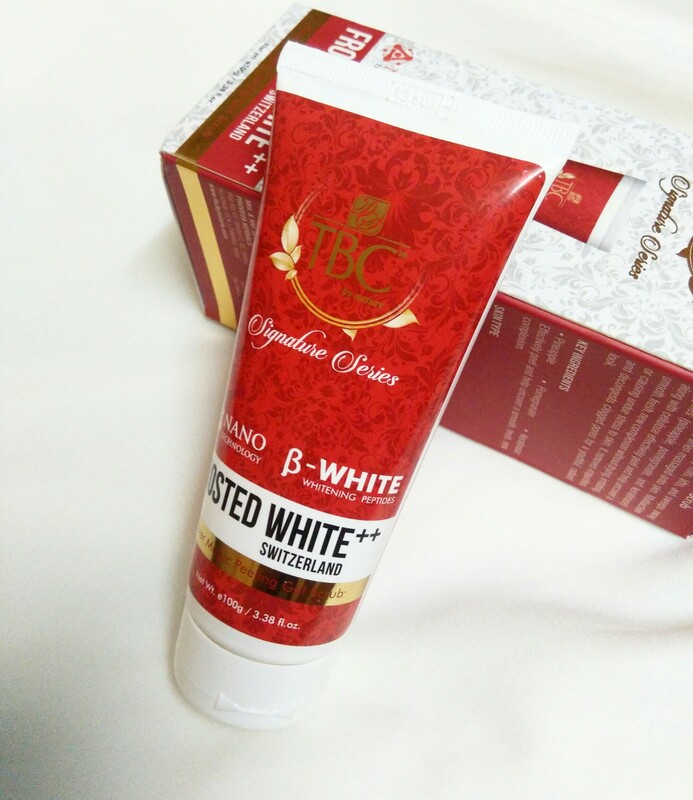 Both Kojic Acid Dipalmitate and Arbutin present in the cream acts a skin whitening and Lightening agent. Kojic acid also helps with dark spots and sun damage. I think this will work best for oily skin beauties. So thats all 🙂 If you have any questions or suggestions about the products do comment below. 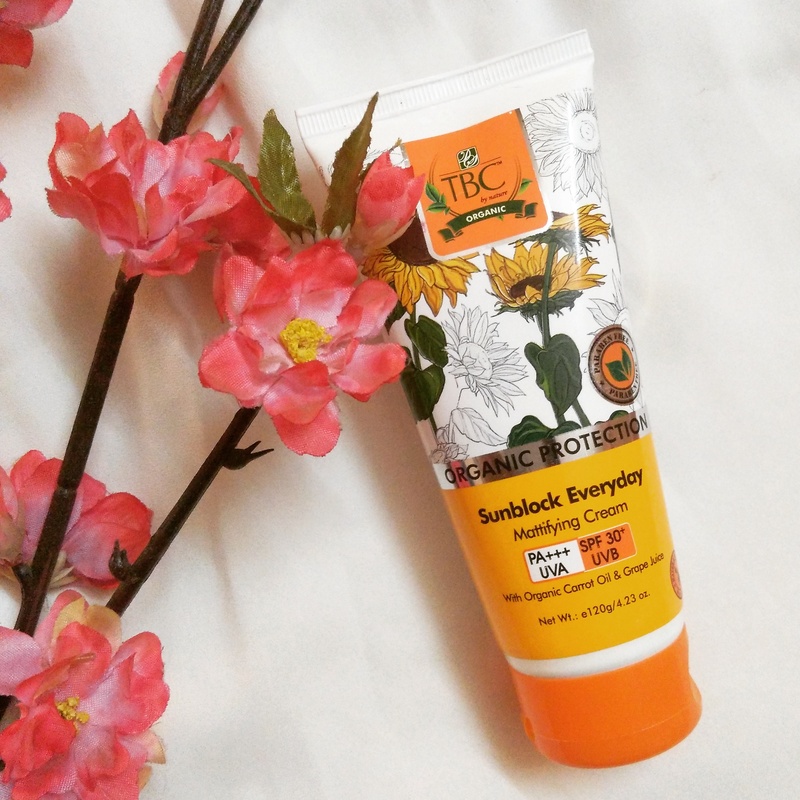 Today i am going to review a product from VEDA ESSENCE. 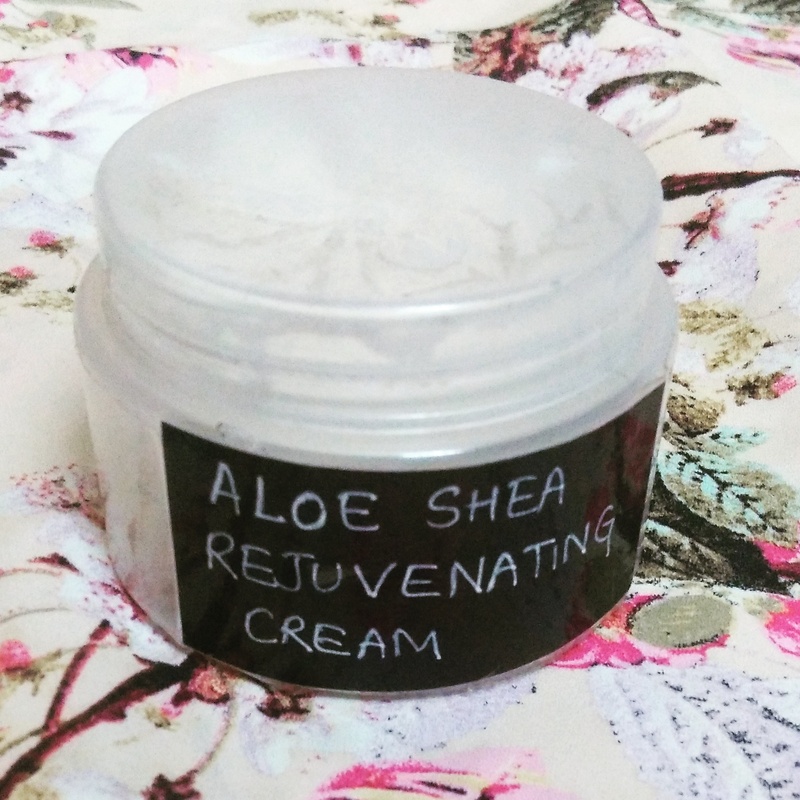 Its the aloe shea rejuvenating cream. Its a sample product sent to me by Jas Naturals. 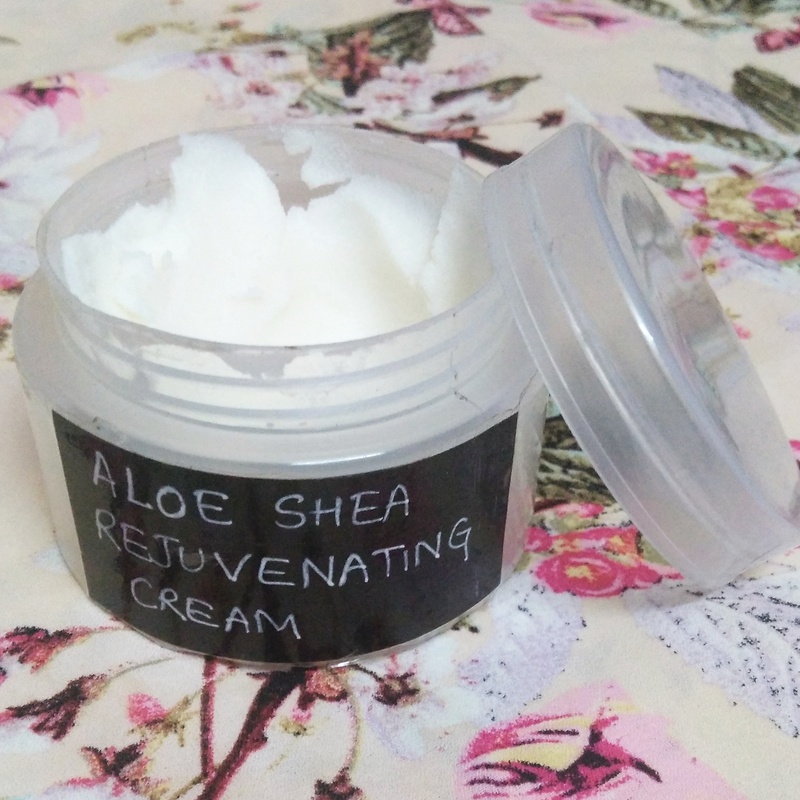 Natural Aloe Shea Rejuvenating Cream Is a unique blend of many essential oils with Unrefined african Shea Butter and Aloe Vera, to completely hydrate your skin, Naturally. 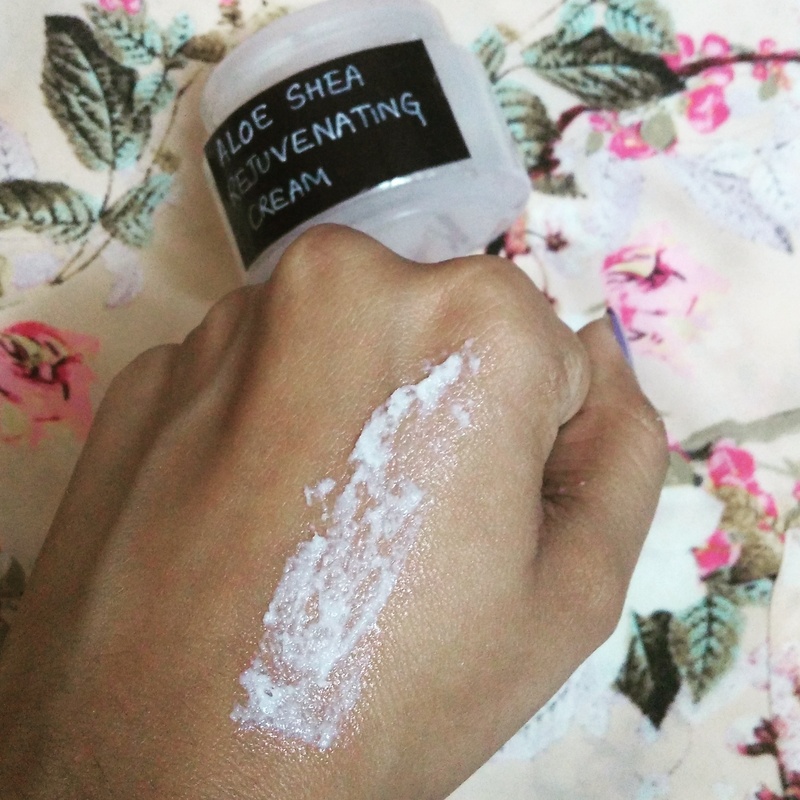 This handcrafted cream is 100% natural & vegan. It is suitable for both men & women. Ingredients: Unrefined African Shea Butter, Aloe Vera, Lavender Essential Oil, Myrrh Oil. Since i dont have the actual product i can’t mention about the packaging ,expiry and other few details. So lets just hop on to my experience with this product. 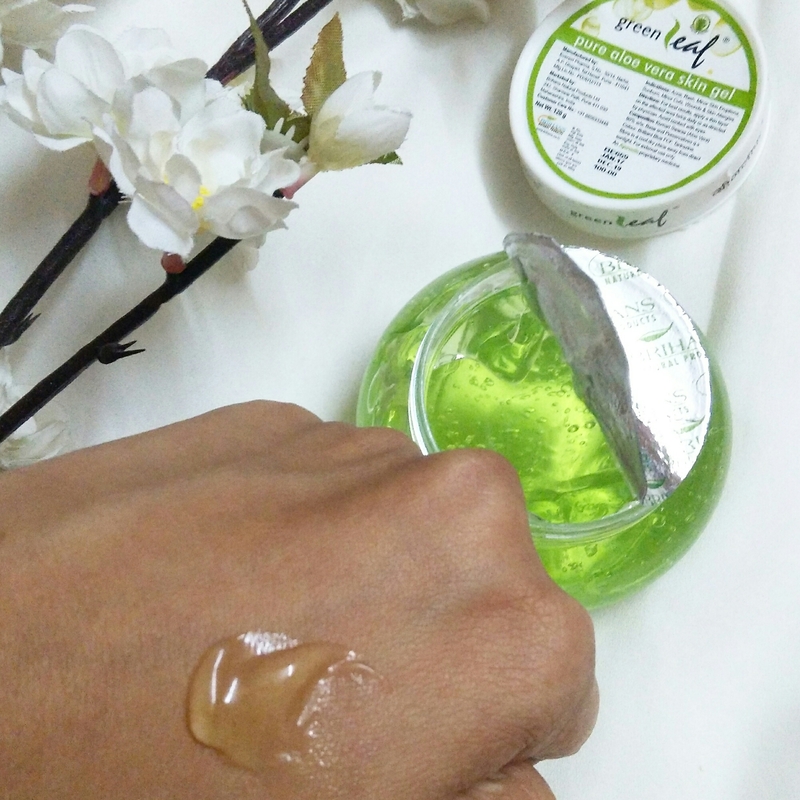 My experience: The product looks & has a nice strong aroma just like those of scented candle. On applying it needs to be massaged properly. Because it takes a while to get completely absorbed into the skin. 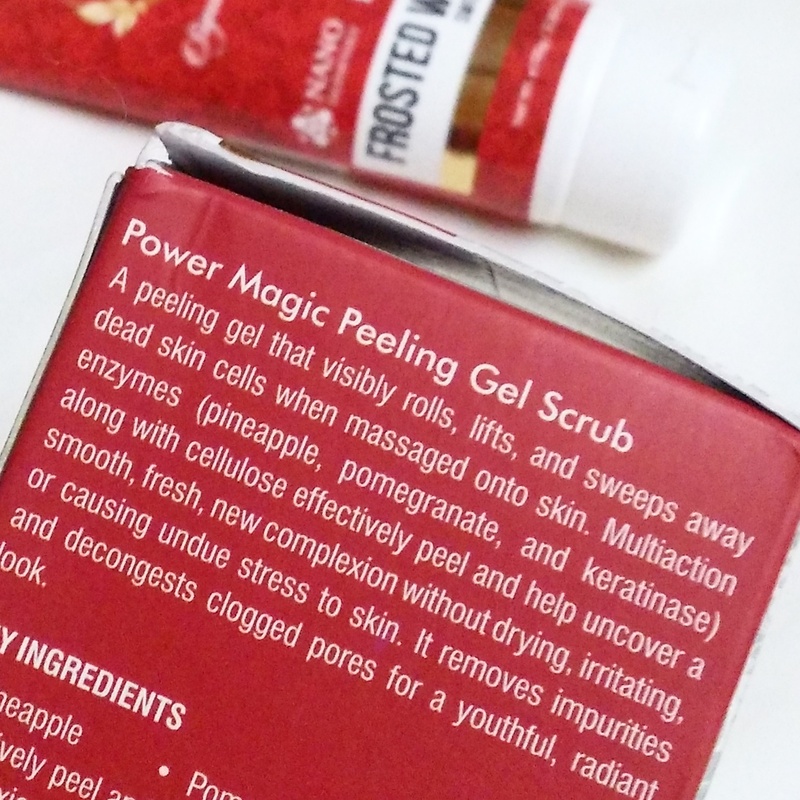 It hydrates the skin so well that i dont feel the need to moisturize my skin again. I love how its aroma linger on the skin for quite some time. It feels so good on my body and that aroma helps me relax my mind. 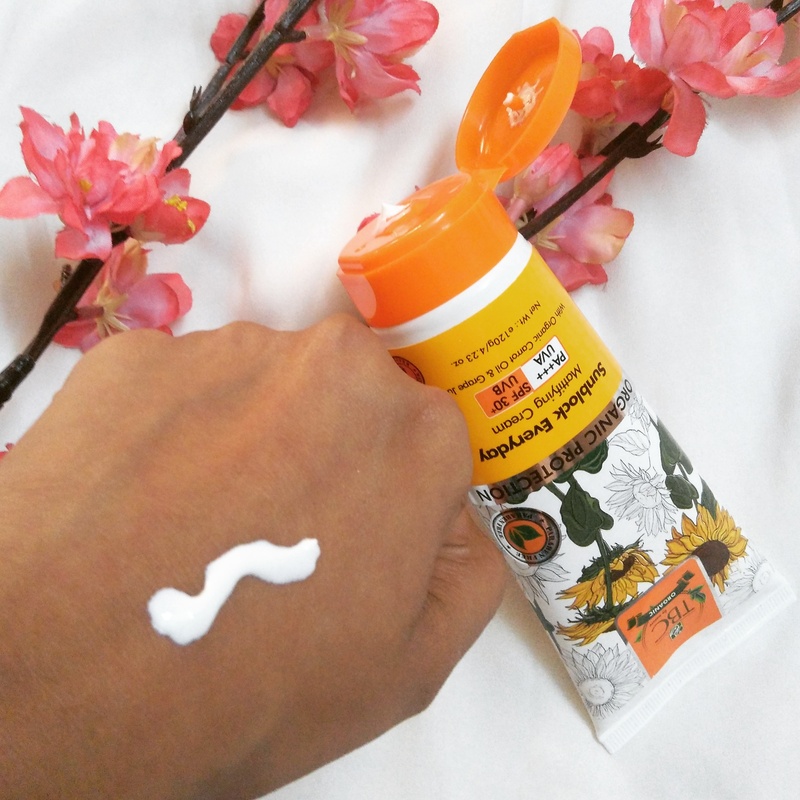 But i think this product is not apt for summers specially if you have oily skin. This product is best for winters is what i feel. Thats all 🙂 If you have any queries or suggestions please comment below. 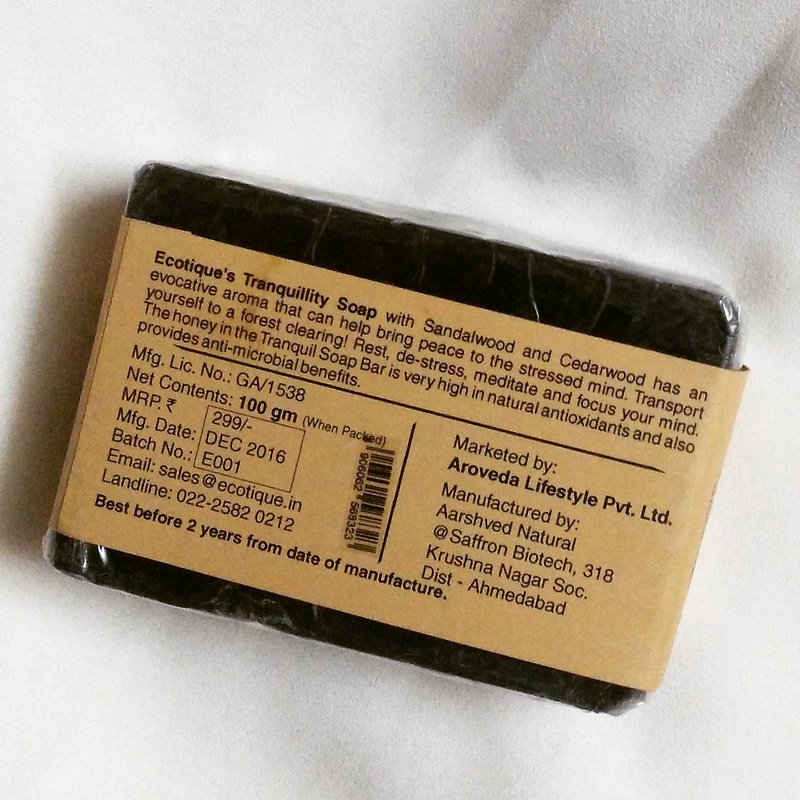 Made from Sandalwood and Cedarwood the soap is blackish brown in colour. It has a smell that is not fancy but somewhat warm and bitter. 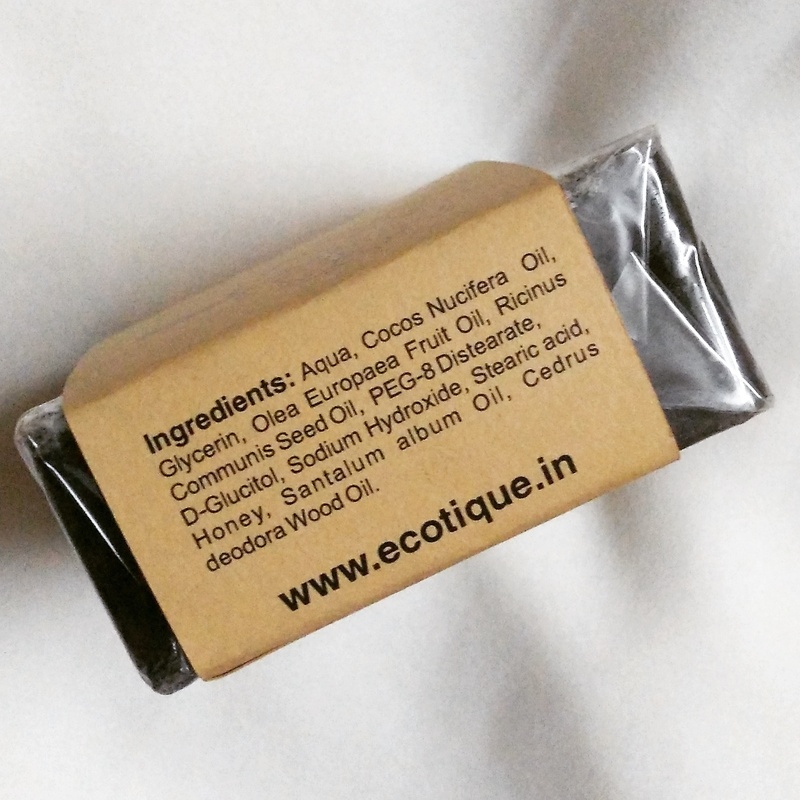 The soap comes packed in a transparent plastic and has a paper cover on it which contains all information about the soap. The soap feels great on my skin. It lathers easily and does the job of cleansing well. Though it doesn’t smells fancy it gives a refreshing feel because it removes excess oil from the skin leaving it clean. 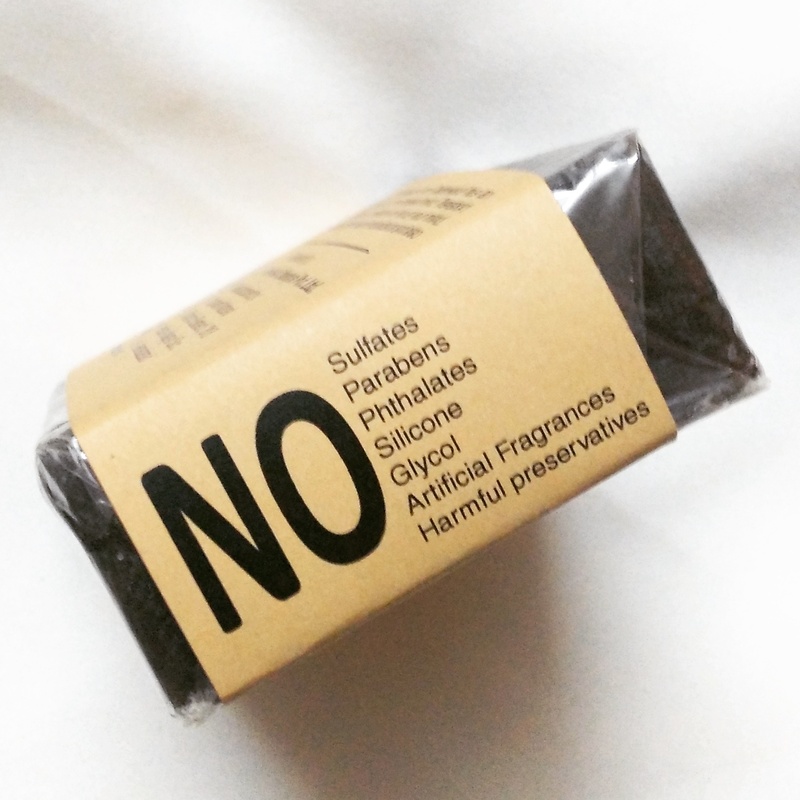 I dont feel any major dryness on my skin as i do after using chemical ladden soaps. 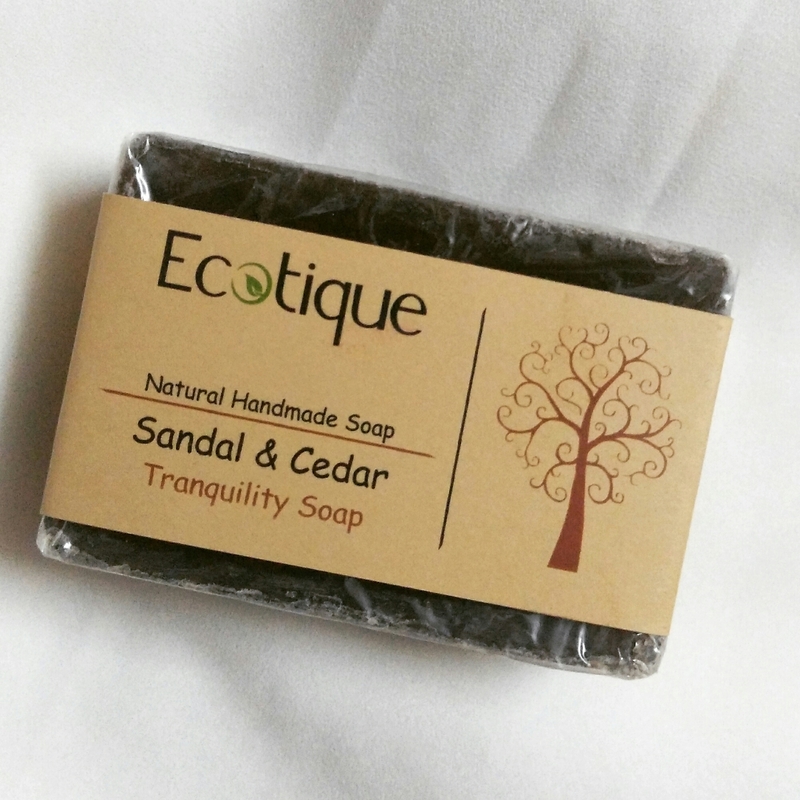 This soap is a simple yet effective product which is gentle on the skin. The soap being natural dissolve easily so make sure you keep it in a dry place. 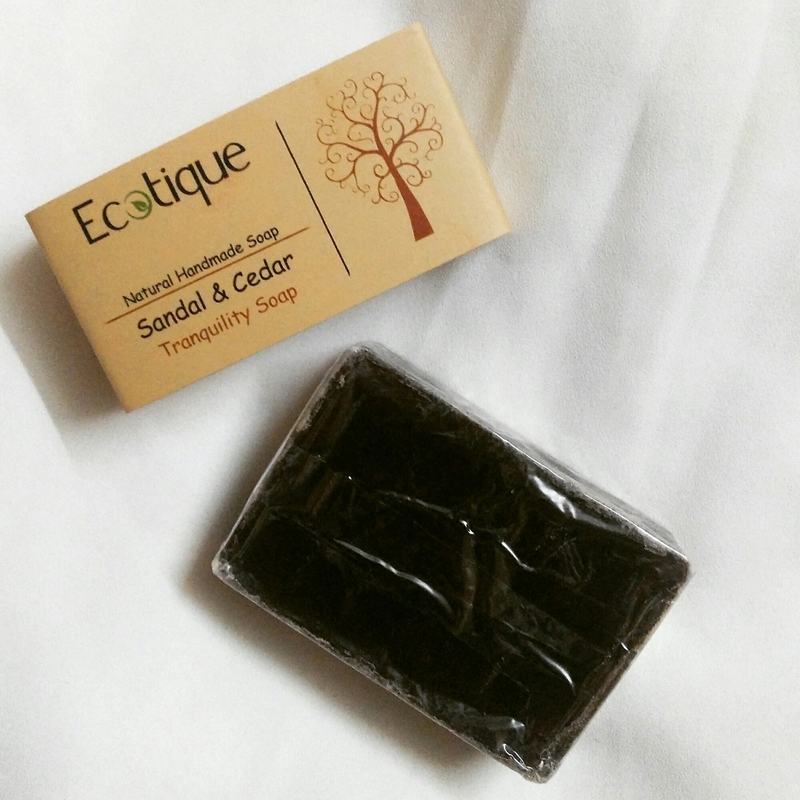 The soap also contains honey which provides anti microbial benefits. Aloe Vera is called the fountain of youth and the first aid plant and rightly so. It has been used since ages for its soothing & healing properties. Today many ancient tales of aloe vera has been proven to be factual as modern medicine unlocks the wonders bursting within Its leaf. 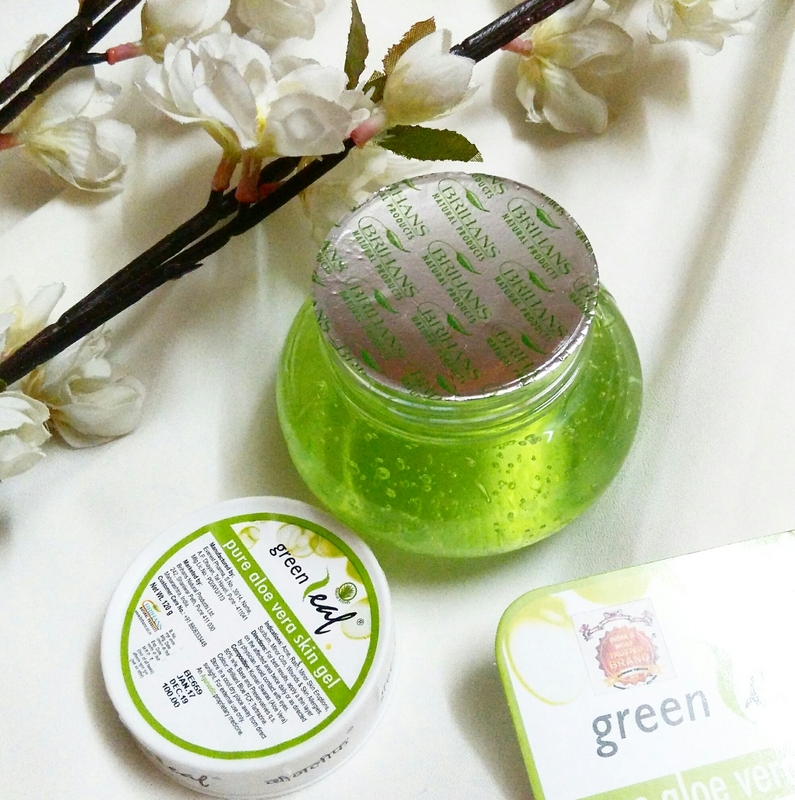 The Aloe Vera gel comes in a round plastic pot with a screw cap. The pot is sealed with silver thick paper. All information regarding Price, Expiry, Ingredients, Volume etc has been mentioned on the cap. Though i love the cute pot packaging, its unhygienic too. I have to dip my fingers inside which i kind of don’t like. Ingredients – Aloe Vera, Base and preservatives q.s. Colour – Brilliant Blue FCF, Tartrazine. The gel appears to be green because it has colours added to it. It has faint smell. 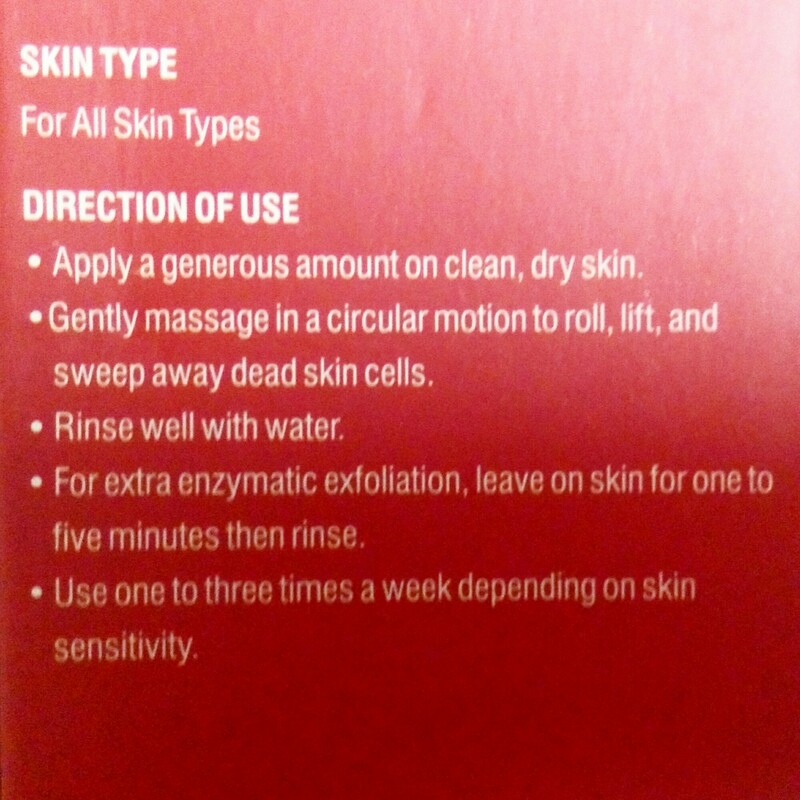 My Experience : I have been using this for a while now and find it bit dry for my combination skin. My skin feels a little tight after using it. 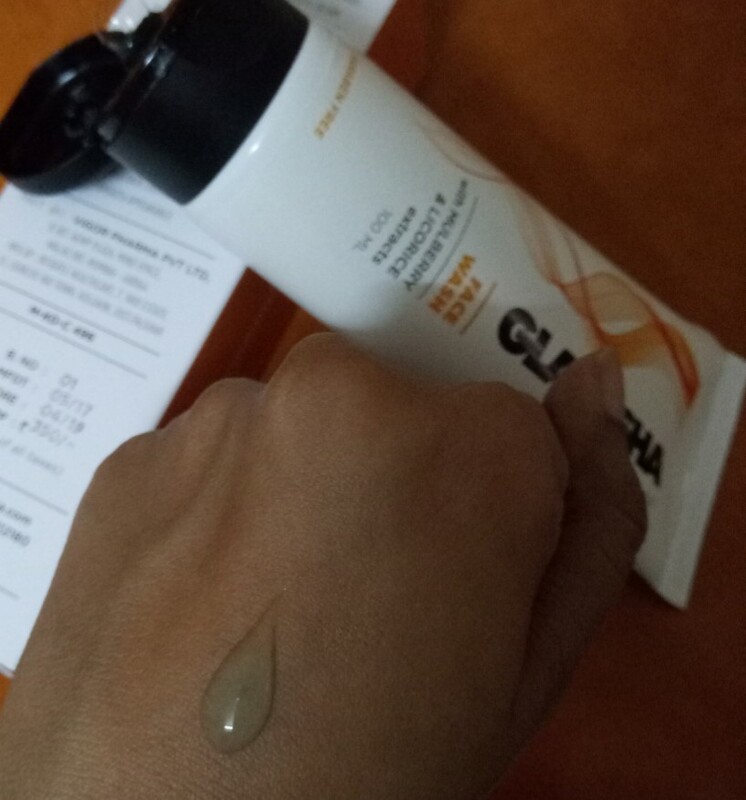 So i apply it only when i head out in hot sun, that way my face doesn’t gets oily. 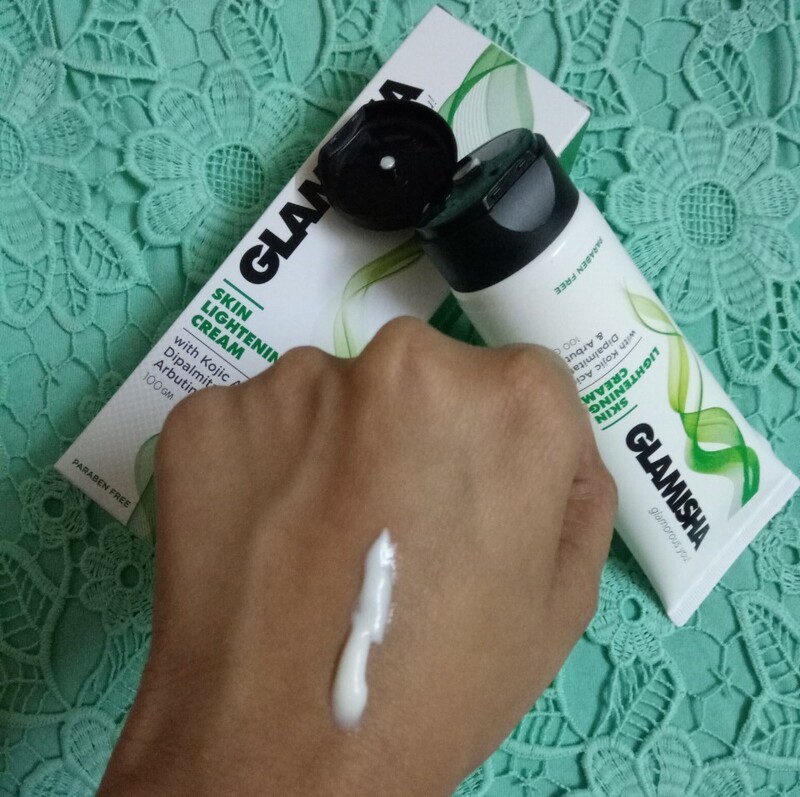 I also use it as a night cream and also apply on my pimples to keep the oilyness away. This product is good for summers. You can also use this under your makeup. 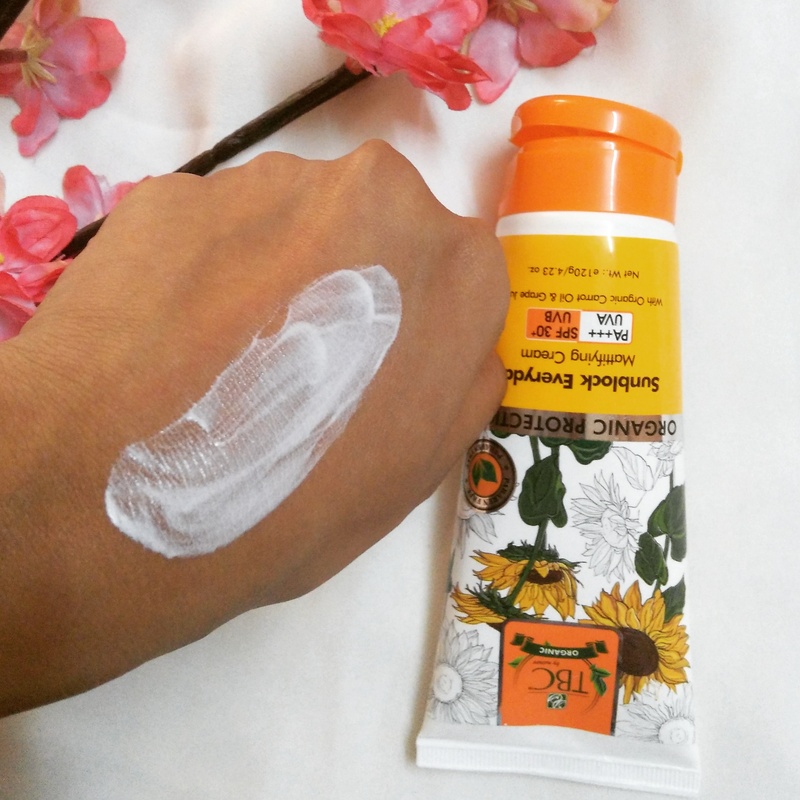 It acts as a nice base.I have tried it and my makeup doesn’t melts when i head out in sun. Also i feel that the added colours were not necessary at all. 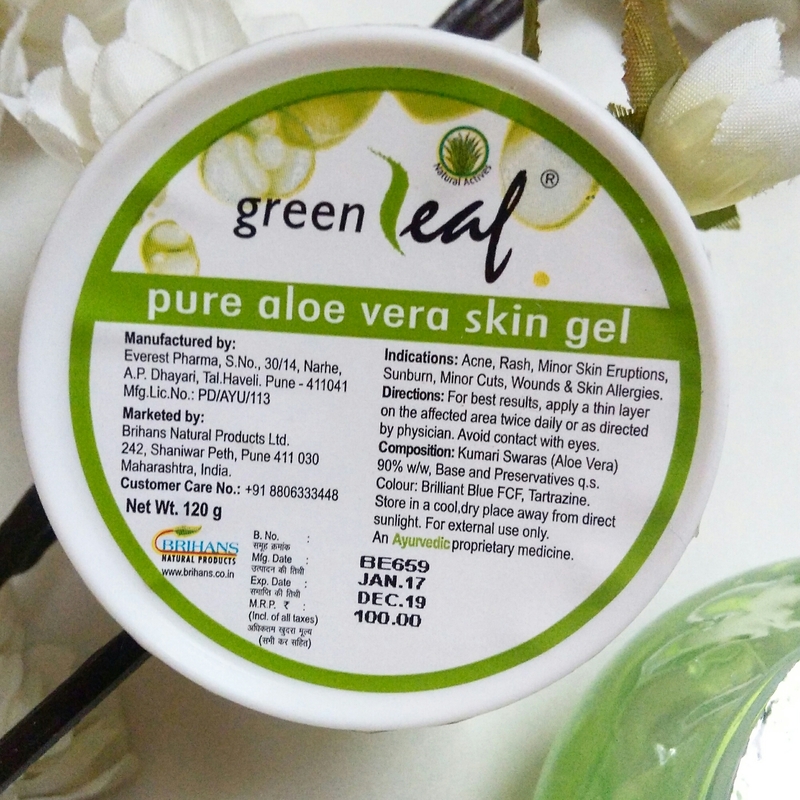 I like Aloe Vera Gels that are white , just like the gum of Natural Aloe Vera Leaf. 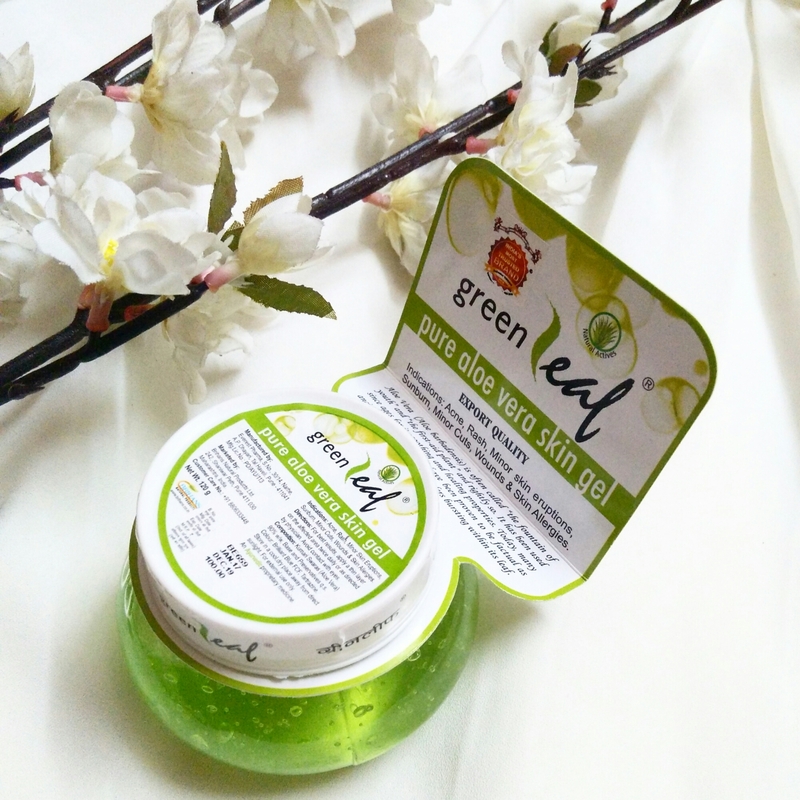 If you have oily skin then you must surely try out this. As i said expect back to back blog posts from me, i am back with another post. 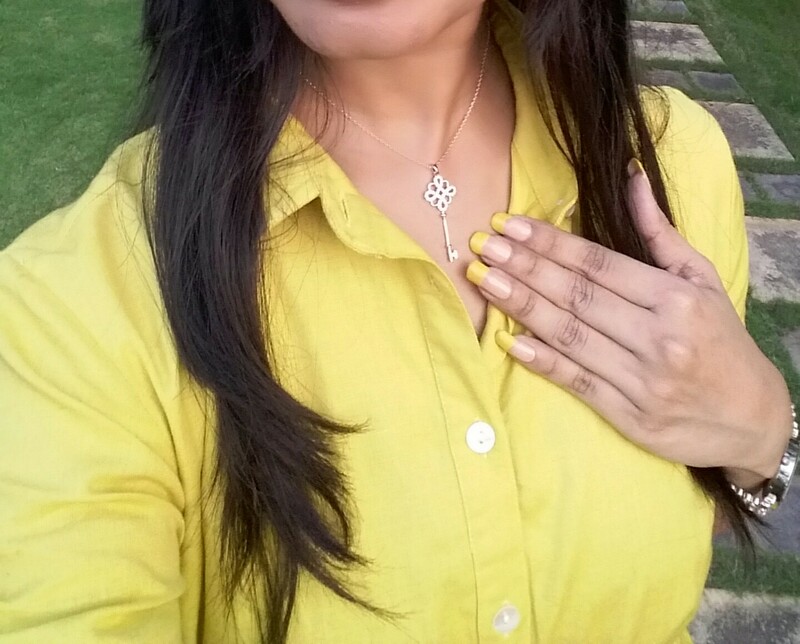 Few weeks back i received a pendant from BLINGLANE. 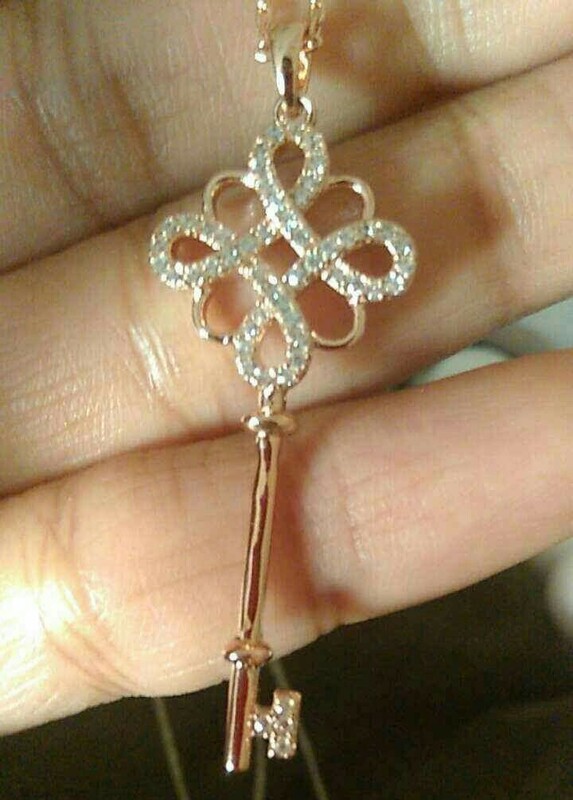 A Pendant with shape of a key and Rose gold colour. Here have a look. What the brand says –This silver plated Key shaped pendant is totally a statement piece which shows off your mysterious side. With sprinkling of bling this pendant is definitely a must have. 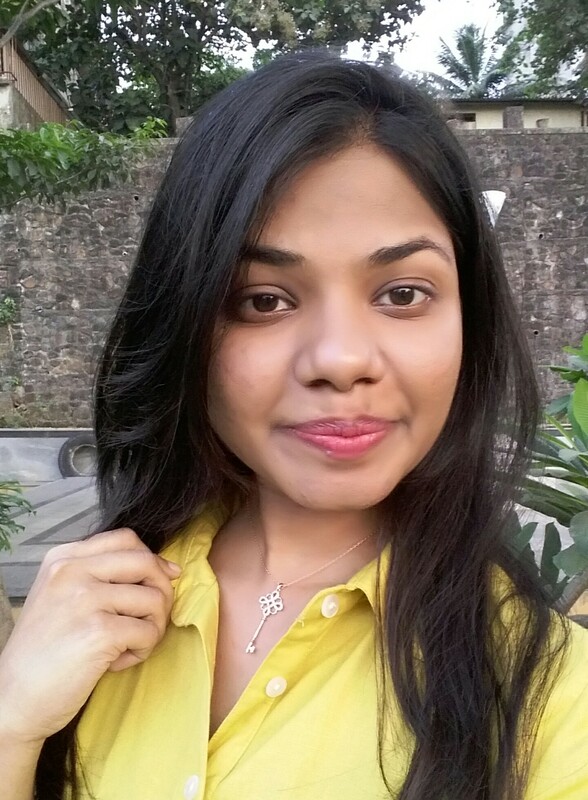 My Experience – First of all i love how blinglane packs and send their products. Totally love their packaging…A white box filled with thermocol balls containing this classy pendant. As soon as i removed the pendant, i and my sister said in unison “waaaaooooow”. Yes the pendant looks so classy and rich. I love the design and the colour too. The shape is such that it looks like a real key. The whole day i kept admiring the pendant. Even my mom loved it. She liked it so much that she got ready to wear that in her kitty party. The pendant is luxurious and is of very good quality. This is the thing i love about blinglane that their products are of very high quality and looks every bit luxurious. This pendant can simply go with everything you wear whether you are wearing a western outfit or an ethnic one. Go ahead and buy this i bet you wont be disappointed.